Secure that site with LetsEncrypt | Sharp Innovations Blog | Sharp Innovations, Inc.
You have heard about someone offering free (as in beer) website certificates (aka SSL certificates) for your website. Whoever told you this was not lying. It’s actually quite true! With the revelations regarding shady dealings with intelligence agencies, law enforcement, ISP and black-hat crackers (i.e., your “cyber-thieves”), there’s been an industry-wide push to secure communications. 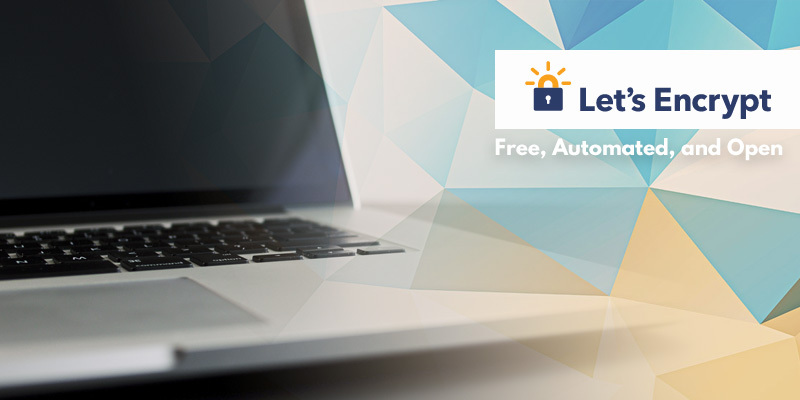 Letsencrypt.org was founded to help address some of the issues in the web industry that led to the widespread failure of website owners and operators in obtaining secure certificates. HTTPS addresses this by creating a connection to the server where your traffic becomes encrypted. This means that if someone were to be snooping on your traffic, they wouldn’t be able to interpret it*. To have your site perform this HTTPS action, you need these things called “certificates”. Certificates are used by the browser and server to confirm that the website you are connecting to is the real thing, and not some random server impersonating a website. For example, to prevent some random person proclaiming that their site is the real Amazon.com, we have these organizations called “Certificate Authorities” or “CAs”. They digitally sign certificates after confirming the identity of the owner. Because these companies have been around a while and are trusted for one reason or another, they have become the de-facto people in charge of certificate issuance and verification. As a result, your web browser has a special list of records that it uses to cross check a certificate with the CA that issued it. This allows your browser to tell you if the certificate from Amazon.com was really given out by Symantec. A mismatch would mean that the certificate is a fake and now someone is running around posing as someone else. If you want to learn more, this video featuring Seth Schoen from the Electronic Frontier Foundation explains the how and whys of LetsEncypt. Posted in Programming, Websites and tagged https, LetsEncrypt, secure certificates, secure website on February 4, 2016 by Timothy Paone.